Happy Tuesday everyone! 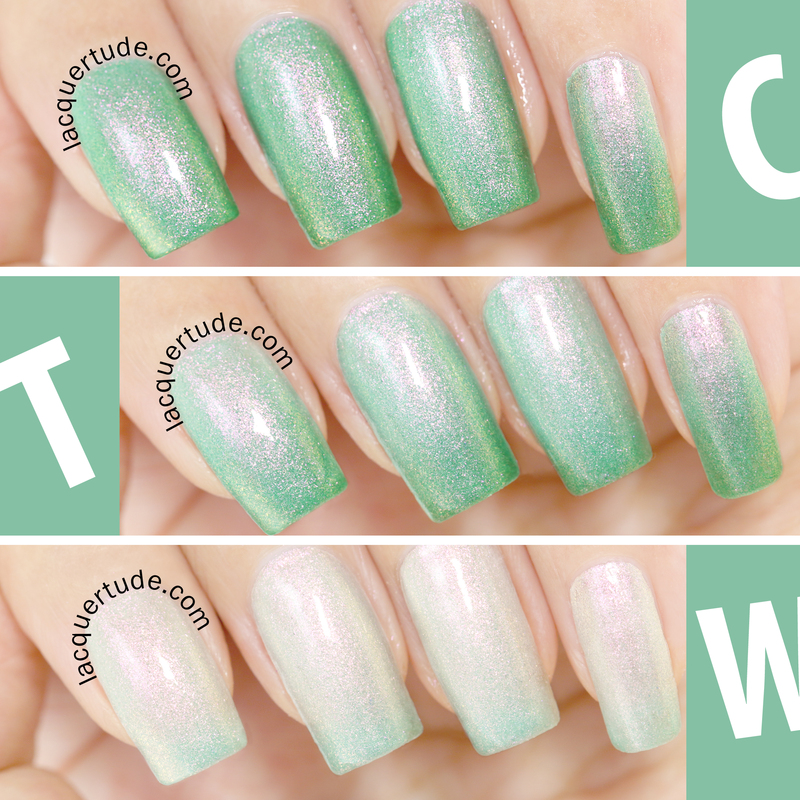 I have FUN Lacquer’s Spring 2014 Collection to share with you! This limited edition collection consists of 3 polishes: a green thermal, a holographic blue, and a crazy holographic glitter topper. Be forewarned that I have a lot of photos in the post, and the reason is that I believe I need to include them all to show you the gorgeousness! Dazzling Blue is my favorite of the collection, no surprise there, right? But honestly, I love it not just because it’s a blue polish, but the holographic particles are truly amazing and I believe unique to the FUN Lacquer brand. Its so sparkly, yet at the same time retains an air of elegance that reminds me of dewy blue roses! Doesn’t it look like my nails are adorned with blue sapphire?!?! This is fantastic! 2 coats was I all needed. There’s also golden shimmer woven through the holographic particles that add to the elegance. Bam! An ultra-macro shot to wow you to the depth of your heart ♥ If you love this, you’ll need to run and get it cause it’s limited edition and you really don’t want to miss out on it! 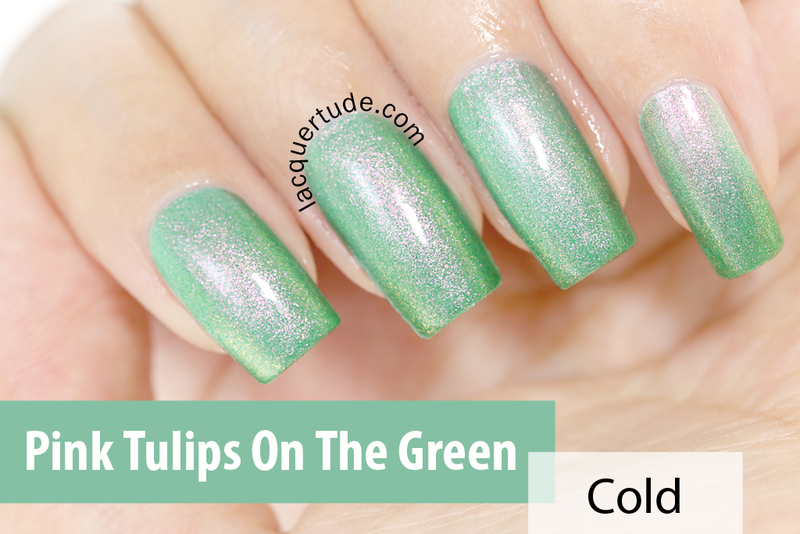 Pink Tulips on the Green is a green thermal polish. I was really impressed with how opaque this thermal was! It only took 2 coats for me and that’s a first with any thermals that I’ve tested so far. When cold, this is a gorgeous soft green jam packed with golden pink shimmer. It looks like it’s lit within! During transition, you can see the warm pearly white on the cuticle half of the nails with soft pink shimmer. I love that during this state, you can see also see the olden shimmer near the tip of the nails. 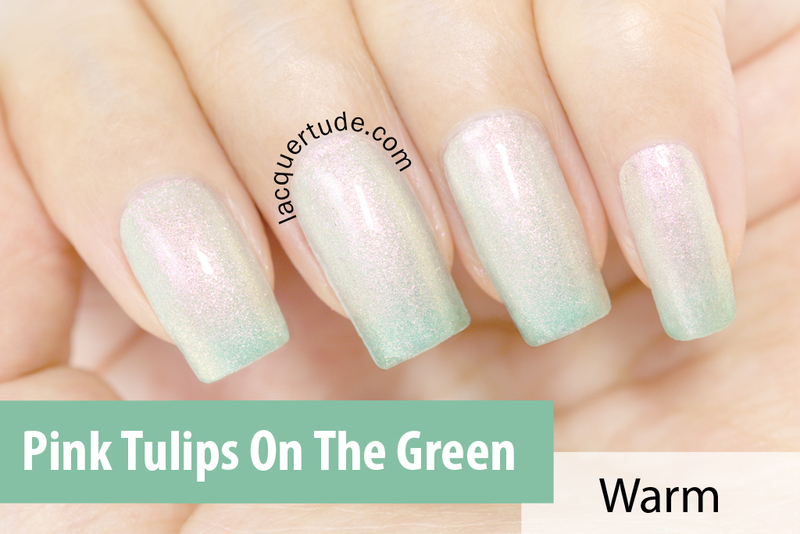 When warm, it’s mostly pearly white with the most delicate pink shimmers that rest on a bed of soft green on the tips. It’s exactly as the name “Pink Tulips On The Green” describes! This photo shows the transition color comparison well. 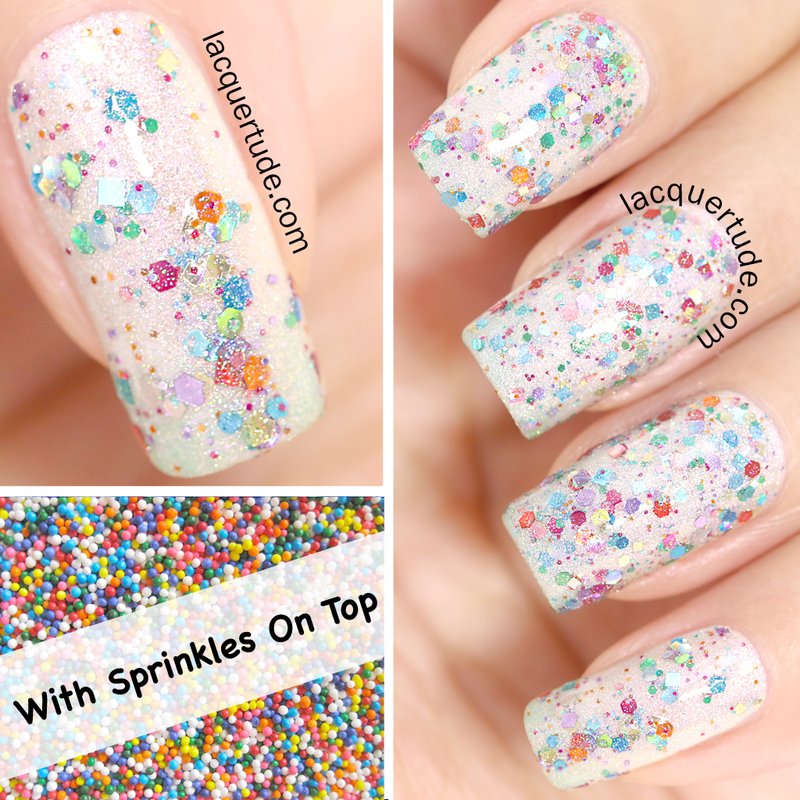 With Sprinkles On Top is my favorite glitter topper from FUN Lacquer to date, if you missed her holographic silver and gold glitter toppers that I reviewed a while back, you can see them here. But what sets this topper apart is that it’s filled with spectraflair holographic shimmers, holographic hexes and squares in various sizes and sprinkle colors! I feel sooooo happy wearing this glitter topper! Look at the gorgeousness! How cute is this? There you have it, the FUN Lacquer Spring 2014 Limited Collection. Due to its popularity and the fact that stock is limited, the full sizes of Pink Tulips On The Green and With Sprinkles On Top are already sold out. But, you can still purchase the mini versions. And as I mentioned, both are worn great with only 2 coats, so with 7mL (standard FUN Lacquer mini size), you’ll still get many wears! Maybe if we all made enough noise, then Yuin Ying, the fabulous creative genius and owner of FUN Lacquer will make more for us! Thank you so much for reading and have a wonderful rest of your week! Stay gorgeous, my polished babes!